Ahead of the winter transfer window there is growing speculation about numerous potential high profile moves in Europe, as clubs look to bolster their squads for the remainder of the season. After almost a quarter of the 2018/2019 La Liga season, Real Madrid finds itself seventh in the standings, suffering three defeats and two draws in nine games, with the squad seemingly unable to compensate for Ronaldo’s pre-season move to Serie A side Juventus. With the summer transfer season in full swing, Europe’s big-name football clubs are offering top dollar in their search for superstars. Portuguese football ace Cristiano Ronaldo is reportedly preparing to leave the ranks of Real Madrid amid rumors about Juventus being interested in acquiring him. 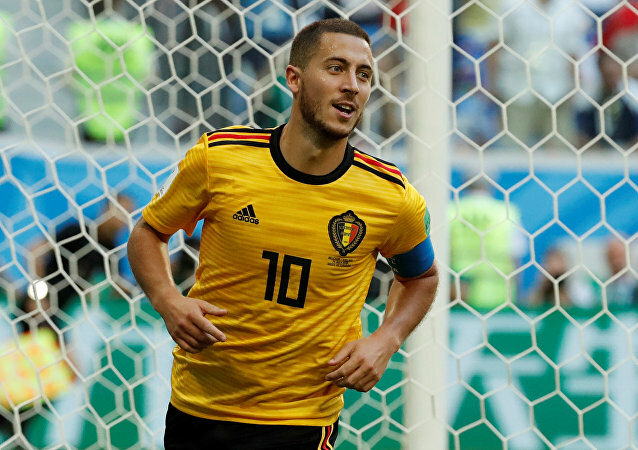 Belgium is now on verge of reaching FIFA World Cup knockout stage as it won two consecutive World Cup games. The World Cup kicks off in just over two weeks' time with the eyes of the footballing world on Russia. Sputnik's Chris Summers looks at how the draw could pan and predicts a new name on the trophy.